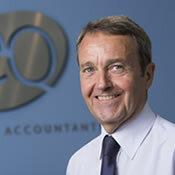 John joined the firm in 1977 and has a wealth of experience in accountancy, tax and business matters. He manages a wide-ranging client portfolio leading business and personal tax clients through the complexities of accounting and tax legislation, always seeking the most beneficial solution to their circumstances. John is a member of our tax team and regularly advises on VAT compliance, employment taxes, business valuations and international issues.He is also in the EQ Healthcare team, specialising in GP practices, and is an active member of Kreston VAT Group. He has responsibility for Amber Accounting Services which provides outsourcing solutions for businesses in the areas of management accounting, bookkeeping, VAT and payroll.